Welcome North Country Trails Volunteer Program Staff of 2012! We are gearing up for yet another record breaking summer on the trails with teen and adult volunteers. 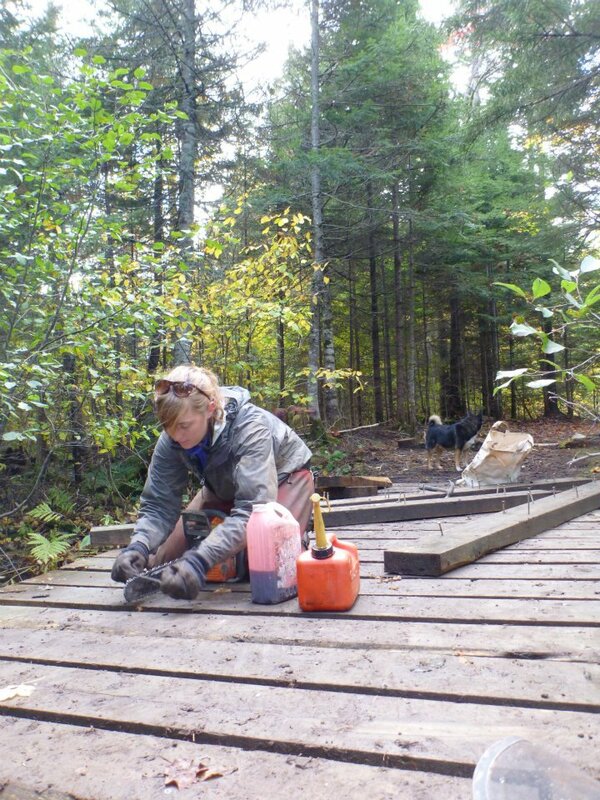 From northern Maine to the US Virgin Islands, AMC Trails Volunteers are out and on the trails. Read a bit more on the staff leaders and administrative folks you just might be lucky enough to work with this summer. See you on the trails! 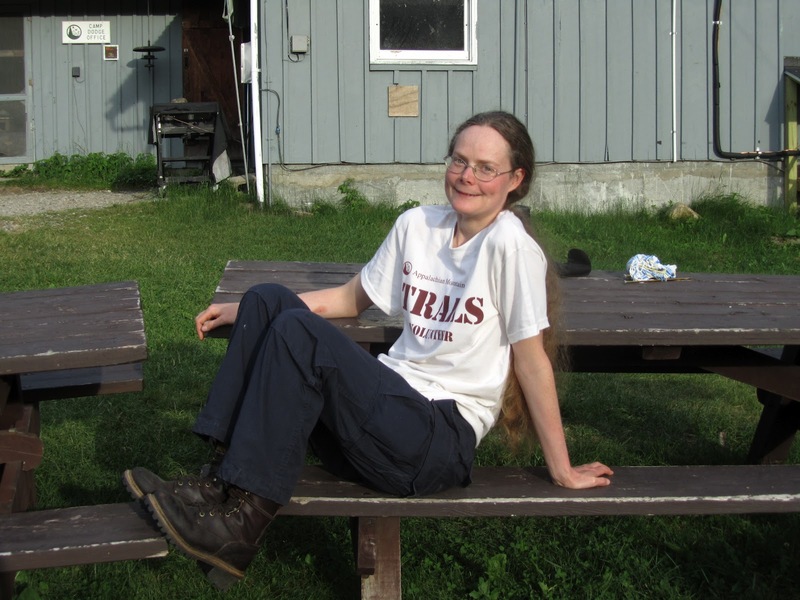 This will be my 12th year working with the AMC Trails Volunteer Programs and I couldn’t be more excited for the 2012 field season. There are so many new additions to our volunteer programming and staff in an effort to provide an abundance of exceptional conservation opportunities for youth and adults. I wish all of the staff and volunteers a safe, enjoyable, and productive summer on the trails! For more info on Alex DeLucia, check out the AMC Trails Department Staff post. Hello AMC Volunteers and Staff! I’m very excited to be joining this amazing community. When I first started working on trails on Mt. Greylock in Massachusetts, I encountered a couple of AMC trail workers. I remember being in awe, and a little bit intimated even, by their skills. Now, five years later, I am no longer intimidated, but still very much in awe of the outstanding work of AMC volunteers and staff. 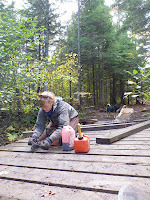 I love trail work, I love trail monitoring and protection, and I love hiking on trails. Trail work fosters creativity and resourcefulness; it challenges me physically and mentally, and is immensely gratifying. Monitoring and protecting trails leaves me with a sense of ownership and investment in these vitally important natural resources, and just hiking on trails, especially ones I have worked on, allows to me to enjoy all of the hard work that goes into making trails. Yet, working with volunteers is the most rewarding aspect of trail work. I have formed strong bonds with my fellow Student Conservation Association volunteer interns that will last me the rest of my life. I continue to be grateful of and quite impressed with the hard work and engagement from volunteers when working on trails. Working for the Pacific Crest Trail Association, I felt the passion of the countless volunteers who dedicated their time and effort to working and protecting that trail so that countless others could enjoy the PCT. Working for volunteers, ensuring they have the support and encouragement they need and deserve to care for our natural areas, is why I love my job, and it is why I look forward to being a part of the AMC. I consider myself very lucky to be a member of this community and I look forward to meeting all of you. This year will be my second season with the AMC, after getting my feet wet in the Berkshire Trails office, in the same role. 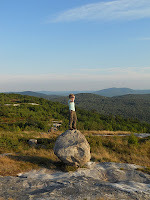 I’m looking forward to getting to know the White Mountain trails, AMC staff & facilities and of course the volunteers. I hail from Maine; hold a BA in Audio/Radio and a Grad Certificate in GIS. The past couple winters I’ve been out snowshoeing, cross-country skiing, birding, and knitting. When the weather turns warm I enjoy kayaking, swimming, gardening, and again…birding. 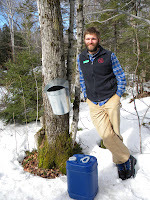 I am a Master LNT Educator and most recently joined Maine’s LNT Steering Committee which is active in promotion and providing education for Maine’s businesses and organizations. Hi there. I started at Camp Dodge last year as a leader of both teen and adult crews, this summer I’m returning as the Camp Dodge Projects Coordinator; putting crews together, making work site visits, and shooting video for the web. I come from Fryeburg, ME, went to college at SMCC and the University of Maine where I studied video production and parks, recreation, & tourism, respectively. 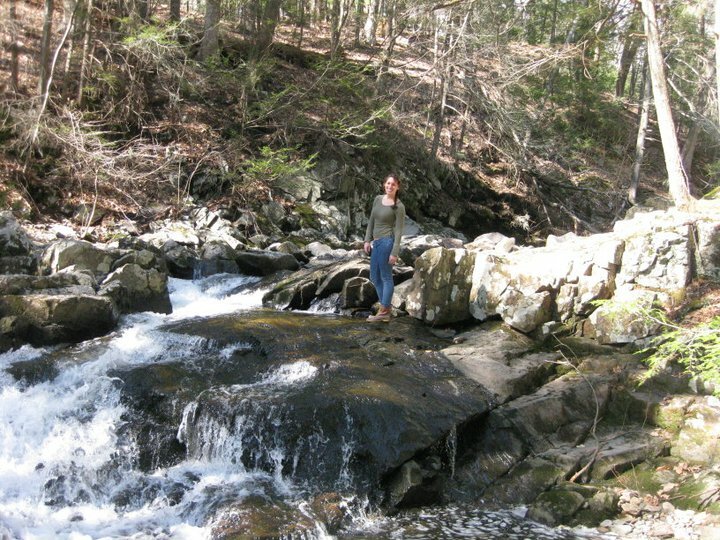 I love the White Mountains for the alpine flora, the wooded walks into glacial water bodies such as Ethan Pond, the mountain streams; to experience 4 distinct seasons, and see what each one has to offer us. 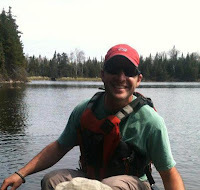 On my feet, on xc skis, or in a canoe, the Whites and Western Maine Mtns. Regions are awesome places to live, work, and play in! Todd is the new Camp Dodge Facilities Manager for 2012. He has been an active AMC Trails Volunteer, Trails Volunteer Leader, and has helped out on many Camp Dodge maintenance projects over the past two years. Todd has been a general contractor for 30 years, building houses throughout the North Country. Hi my name is Nettina Conkey and I am from northern California. 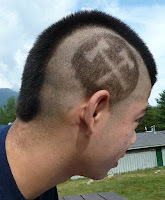 I am the cook here at Camp Dodge in NH. I love to sit under the trees and work on my quilt, crocheting or to read a good book. Hi all! Kitty here from Lexington Mass. I am so glad to be back at Dodge for the summer. I worked as a volunteer last year at Dodge and worked in the Berkshires the year before as a volunteer as well. This summer I can't wait to work as support staff for Camp Dodge and help lead weekend activities and trips for the longer crews After this summer I will embark upon a year off from schooling to explore my interests in organic farming and conservation work around the globe. In the following fall I will attend school at the University of Maine Orono. I had my first experience hiking in the White Mountains on an Outdoors Club trip in high school. We snowshoed to a hut overlooking Mt. Washington, and it was beautiful and so much fun! I’m very excited to be spending more time in this great area working at Camp Dodge this summer. More about my life: I live in Portland, ME and graduated high school in 2011. I spent the past year traveling and volunteering--in Guatemala teaching kids art at the NGO Safe Passage, and in Spain as a “WWOOFer” (World Wide Worker on Organic Farms). I will go to college (I don’t know yet where) in the fall. I love to read, eat, hike, ski, and play soccer. This list is not exhaustive. Get ready for an awesome summer 2012! 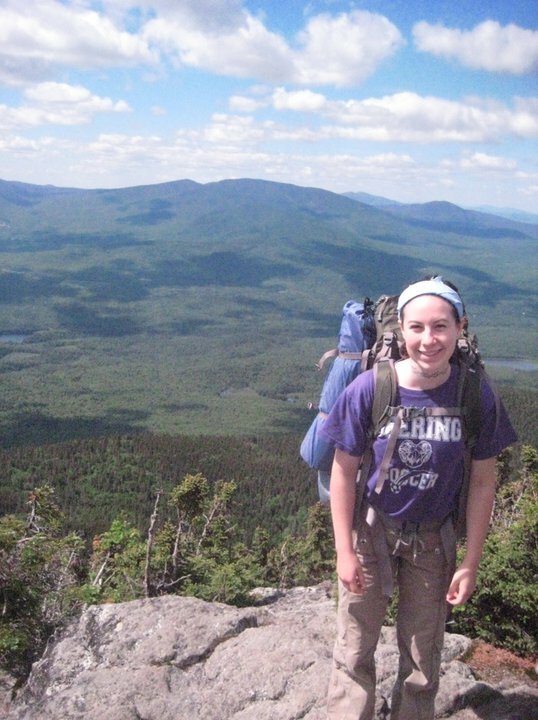 Currently a rising sophomore at Bates College in Lewiston Maine, I was born and raised in Arlington Mass.Having piqued his interest in the outdoors with five years of summer camp in Vermont. 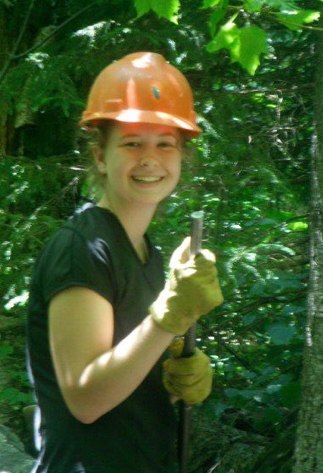 I first cut my teeth on trail work volunteering for the AMC's Berkshire Teen Trails Program two years ago. I am excited to return to the AMC working at Camp Dodge as Custom Crew Leader/Logistics staff for the summer. Being one of those kids who got off the school bus and went right in to the woods to play, it only seems fitting that my career has lead me right back to my passion – the outdoors. My involvement with AMC began a few years back when I volunteered with AMC activities on National Trails Day. After a full day of working with people of all ages, teaching, and learning with others, and of course, being outside, I was hooked! My involvement with AMC continued as member of the Boston Chapter executive committee, and as a hiking/backpacking co-leader. I’ve been blessed with a variety of enriching outdoor opportunities including leadership development, technical skills training and with the ability to get out and work with everyone from teens to adults from California to Pennsylvania. I’m stoked this year to work with the adult population of AMC Trails volunteers and with our fabulous volunteer leaders. See you on the trail. Peace, love and dirt. Hey All! This is my second season working for the AMC and I’m wicked excited to be back at Dodge for my third summer, this time leading as a Teen Trail Crew Leader. 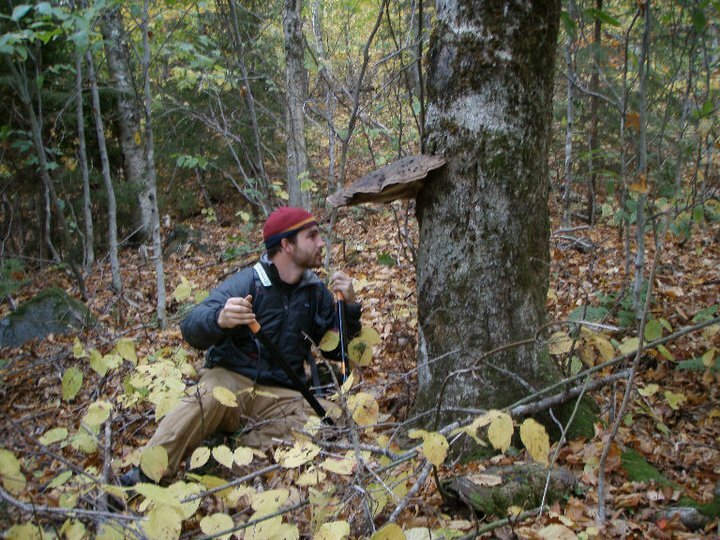 I was raised in Temple, NH where I was taught to love nature & good old hard work. I’m studying Sustainable Agriculture and Ecology & Environmental Science with a Forest based concentration at the University of Maine, Orono. I hope to incorporate my love of forests and agriculture to create healthier economically stable communities that include the land around us. I see Dodge as a way to share my passion by leading, while learning from the diverse people who come here. Camp Dodge is a wonderful community and I hope you’ll come up & volunteer on trail and help pull some weeds in the garden. I grew up outside Boston, MA and although this is my first summer doing trail work, I have been hiking the AMC trails since I was little. I like playing games, flipping pancakes, singing with my banjo, and just generally enjoying others' company. I'm looking forward to spending a summer outside, working hard and look forward to seeing all of you at at Camp Dodge! 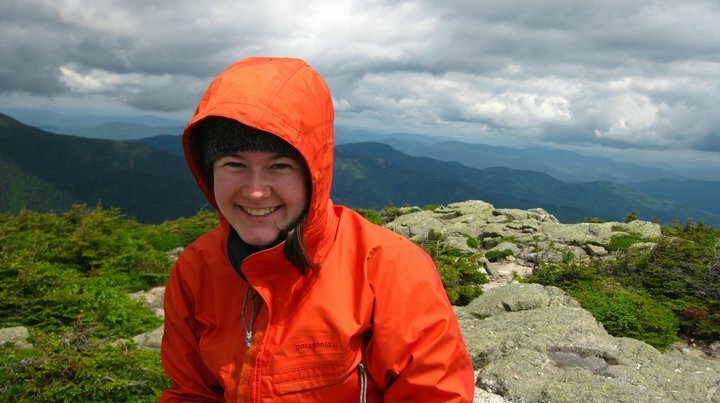 Growing up in coastal Maine instilled in me a lifelong love of nature and the outdoors so I am excited to be joining AMC in the beautiful White Mountains this summer. Prior to work with the AMC, I received degrees in Animal Science and Biology from Cornell University and completed an honors thesis with the Cornell Lab of Ornithology studying the song system of Gray Catbirds. The most defining part of my college experience, however, was working as an instructor, challenge course facilitator, and gear wizard for Cornell Outdoor Education. Working with COE allowed me to share my knowledge of the backcountry and my passion for it, and I am excited to have the opportunity to continue to share that passion at Camp Dodge this summer. My outdoor interests are numerous and include hiking, backpacking, kayaking, rock climbing, snowshoeing, skiing, dog sledding, and wildlife watching. I love exploring new places, rediscovering old favorites, and hearing or reading the stories of people who love the same. I have a hearty appreciation for good company, good food, and good scenery – all of which I’m sure to find with AMC this summer! Hey everyone! 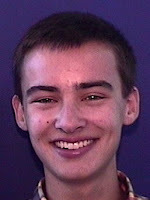 This being my first year as a Teen Trail Crew Leader, I can't wait for summer 2012 to begin! I have volunteered on spike crews for the past three summers and those crews were some of the best experiences of my life. Now it is my turn to teach preservation, conservation, and an appreciation for the environment we are lucky enough to live in. 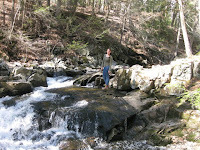 I love being outdoors doing anything; hiking, climbing, biking, kayaking, or relaxing with a good book. I was born and raised in West Newbury, MA but am currently attending Fort Lewis College in Durango, Colorado. The west is incredible, but I have been away from my home mountains for too long, they are calling me back. I can't wait to get back to Dodge and start a summer of learning, teaching, adventuring, meeting, and getting dirty! See you in the mountains! This summer will be my first summer as a trail crew leader, but my fourth at Camp Dodge. Spending increasing amounts of time doing volunteer trail work, I will bring my experience full circle, leading the crews that I have enjoyed so much. I'm excited to be a part of the increasing amounts of programming out of Dodge and hope to see growth of my own skills as well as those of my fellow leaders and, of course, the teens. Born and raised in Natick, Massachusetts, I have recently completed my first year at the University of Michigan, studying aerospace engineering. Like a true engineer, I'm drawn to problems that need solving, which is what trail work is all about: identifying problems and implementing solutions, though I'll be trading my laptop and calculator for an axe and rock bar for the remainder of the summer. Enjoy summer 2012 and, as always, Go Blue! I'm looking forward for my first year with the AMC up in the Whites. I graduated from Frostburg State University in 2010 with a Parks and Rec degree and a concentration in Adventure Sports. Since then I have completed an internship with the Appalachian Trail Conservancy's ATC Lands Program working on their mapping project. After my internship I scored a job with the ATC as a Boundary Tech which has had me on the road working on NPS boundary from Rangeley, ME to Damascus, VA. I have spent equal parts of my life growing up in Chattanooga, TN and both Eastern and Western MD. While not working with the teen crews, I hope to get out climbing, biking, swimming and anything else outside. While out, I enjoy foraging and am always searching for more information about nature. 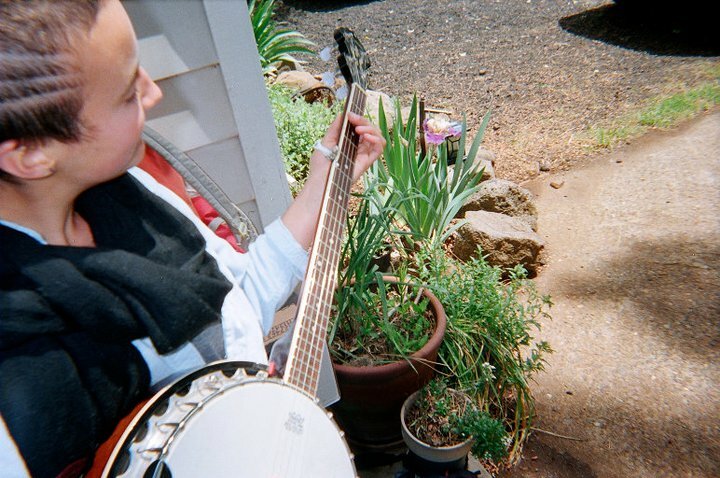 I love music with a fondness for stringed instruments and a curiosity for the winds. Can't wait to meet some new folks and pick around in the Whites!! It’s my first season at Camp Dodge and I can’t wait to work for it. I have done various outdoor expeditions and leadership programs, and love the White Mountains more than anywhere else in New England. I will be a Trail Volunteer Intern this summer and can’t wait to spend time in the woods and help teenagers enjoy it as much as I do. 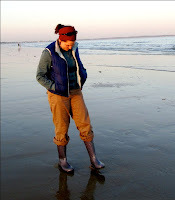 Besides being outdoors and hiking, I love running, cooking, photography and reading. 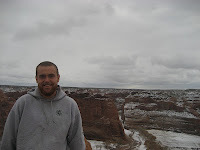 I love exploring, and have lived in Argentina and Mexico, as well as visited many parts of the US. 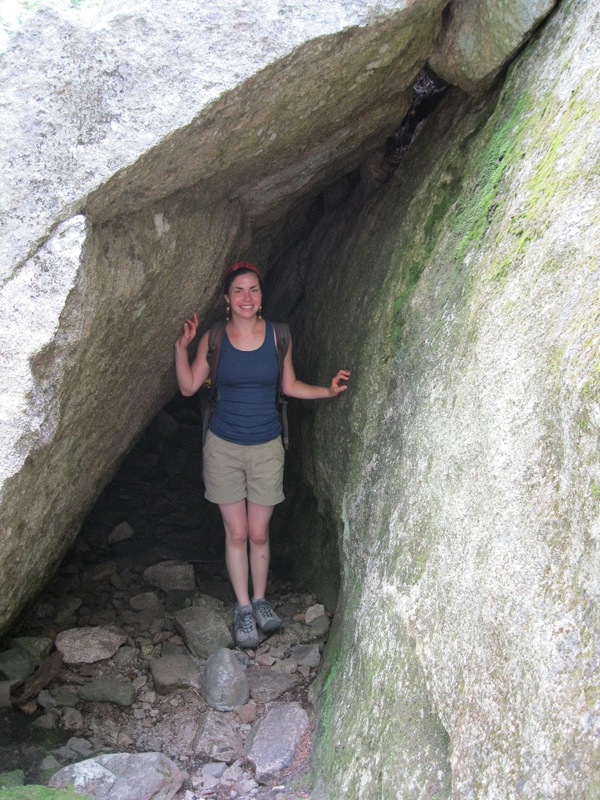 I am a Geology-Biology major at Brown University in Providence, RI, and I love rocks! Looking forward to seeing you this summer! Heyyoo. I was born and raised on the south shore of Lake Ontario. Post Oberlin College I have been kicking around the country in pursuit of eroded trails and captivating mountains. I am grateful for the amazing experiences and skills learned with the California Conservation Corps, the Montana Conservation Corps and the Randolph Mountain Club. More recently I worked as a therapeutic recreation guide and yoga teacher at an anxiety treatment facility for teenagers. After a mild winter spent working on my shot, skiing, ukulele playing and living out of my car, I am soooo excited to get out this summer and help the AMC work towards their goal of getting more youth involved outdoors. Hello!! 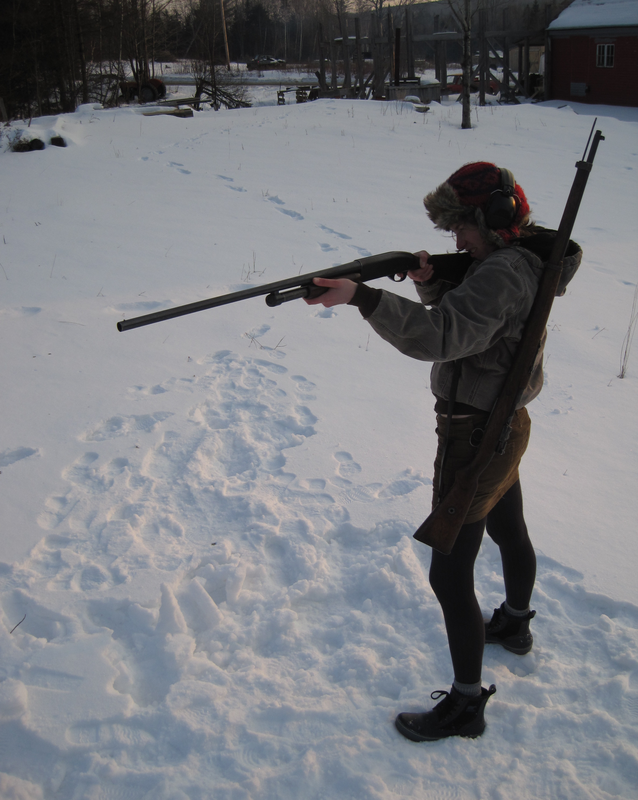 I am excited to return to Camp Dodge and the North Maine Woods in 2012! Last year, I led summer volunteer crews in the White Mountains and then moved to Maine in the fall to work with the AMC professional crew. I am ready for another great summer of working alongside fun, motivated volunteers and living on a beautiful pond 100-Mile Wilderness. 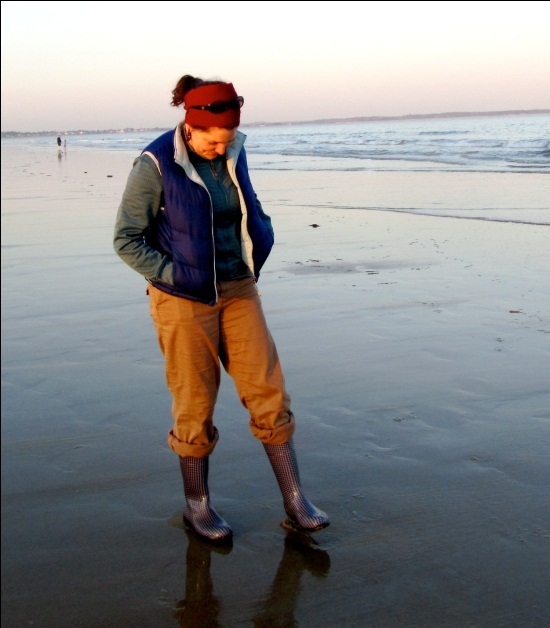 I have an undergraduate degree in biology from Oberlin College and a passion for conservation. Since graduating in 2008, I have traveled around the country exploring forests, mountains and deserts as a naturalist/educator, adventure guide, native seed collector, and trail crew member and leader. I got my first taste of trail work as a volunteer in the Southwest; I loved working on a crew, getting sweaty and dirty, feeling proud of the projects you accomplish, and helping the environment. Looking forward to a great summer on the trails in Maine!